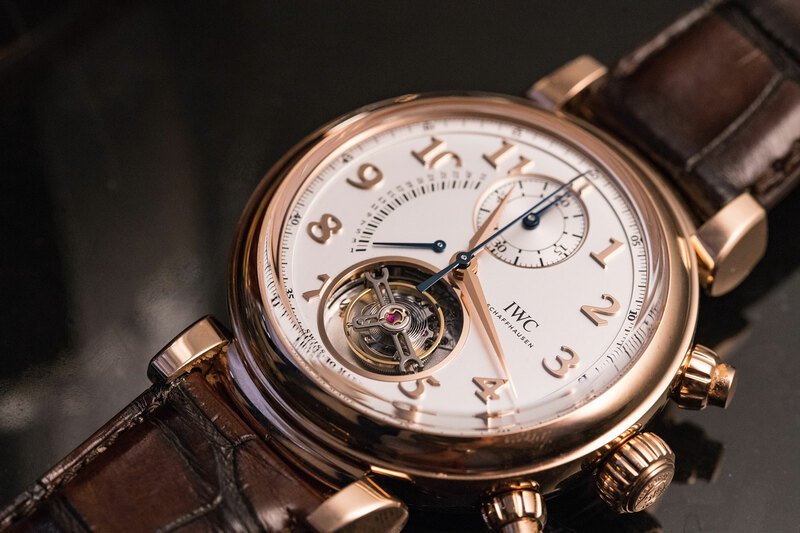 At the beginning of the year, IWC declared it the year of the Da Vinci. Saying “arrivederci” to the tonneau style case and returning to the classic round case design of the 80s with those seductive, articulated lugs. The flagship for the new collection is the all new and very complicated Da Vinci Tourbillon Rétrograde Chronograph. As its name would suggest (and in a first for the company) this watch sports flying tourbillon, chronograph, and retrograde date complications. The trio of functions all wrapped up in the newly designed in-house 89900 movement, adding another branch to the 89000-calibre family tree – the limbs of which are already laden with many of IWC’s other chronograph models, like the recently revised Portugieser Chronograph Classic and the Da Vinci Perpetual Calendar Chronograph. As with the rest of its kin, this new model is a flyback, column-wheel chronograph with a vertical clutch and automatic winding. 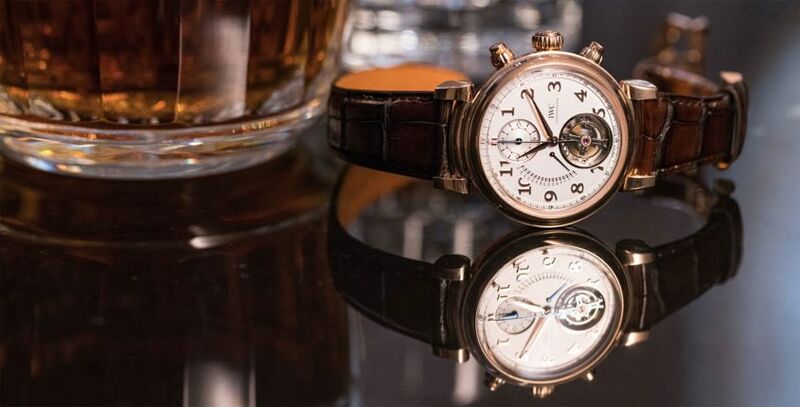 The power reserve is also kept the same at an impressive 68-hours, even with the addition of the tourbillon — made possible thanks largely to the manufacture of the pallet and escape wheel from a diamond coated silicon, reducing the friction and compensating for the increased power that the tourbillon consumes. 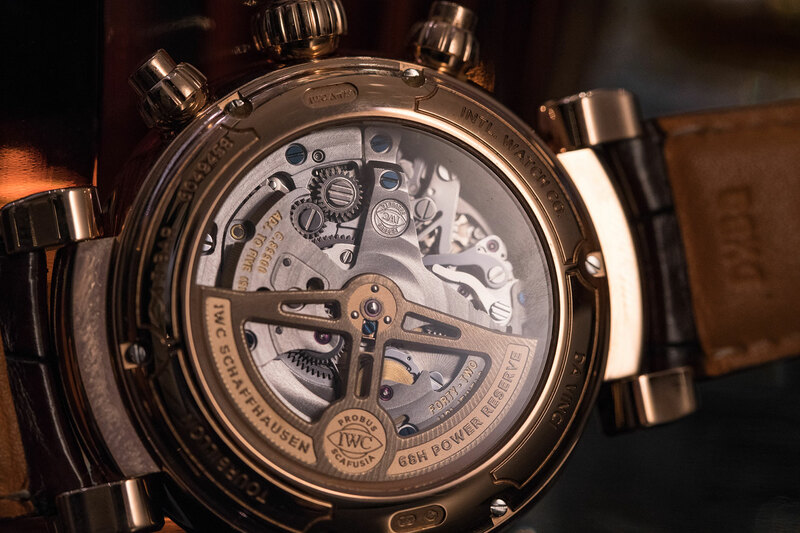 While the tourbillon is itself a technical marvel, in this new Da Vinci it is even more impressive. 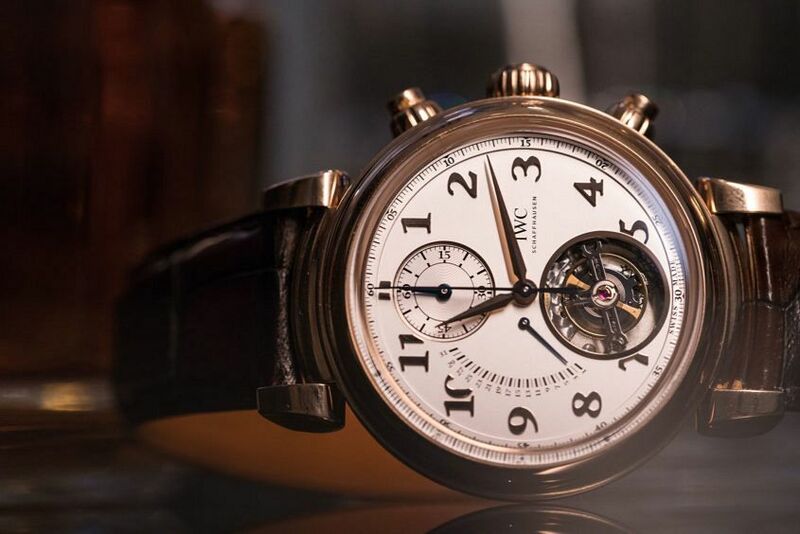 Not only is it a flying tourbillon, performing a full rotation every minute – making it possible to be used as a substitute small seconds display – but it is also hackable. A feat that has only been accomplished by a handful of brands. Often a tourbillon is too complicated or considered too delicate to be stopped abruptly, however as it’s a flying tourbillon and only fixed on the underside, when the crown is pulled out, two levers are able to grip the rim of the balance wheel like a clamp and prevent the mechanism from moving — thus satisfying the OCD side of my personality which has always been bothered by the fact that a movement with a tourbillon (which is designed to increase accuracy) is rarely able to be set accurately. Despite the complexities of the movement inside, the dial is kept surprisingly uncomplicated with the combination of the chronograph elapsed hours and minutes in a totaliser at 12 o’clock, the single subdial visually balancing the tourbillon at 6 o’clock. 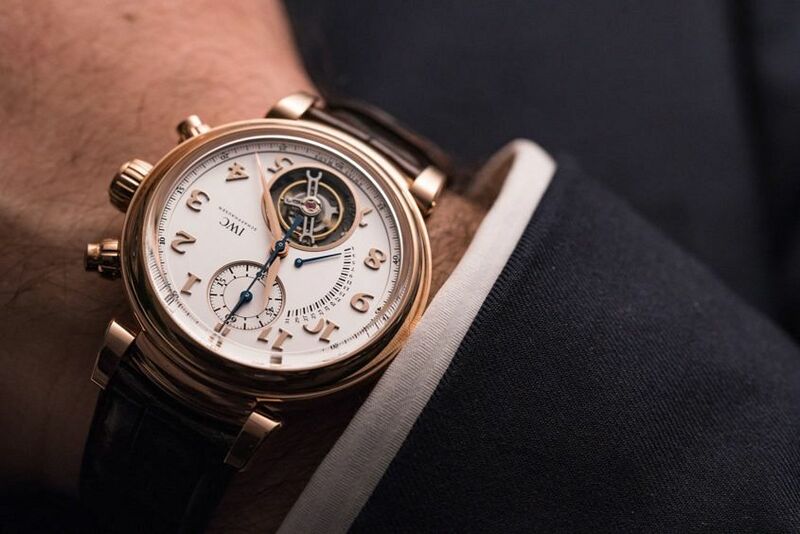 Now perhaps IWC could have opted to forego the gently arced retrograde date display and instead employed a normal date complication to visibly create a near perfect symmetrical dial layout. However, the Da Vinci collection was built on awe-inspiring complications and there is nothing more glorious than watching the blued steel date indicator snap back to the first of the month at the end of a month with 31 days. 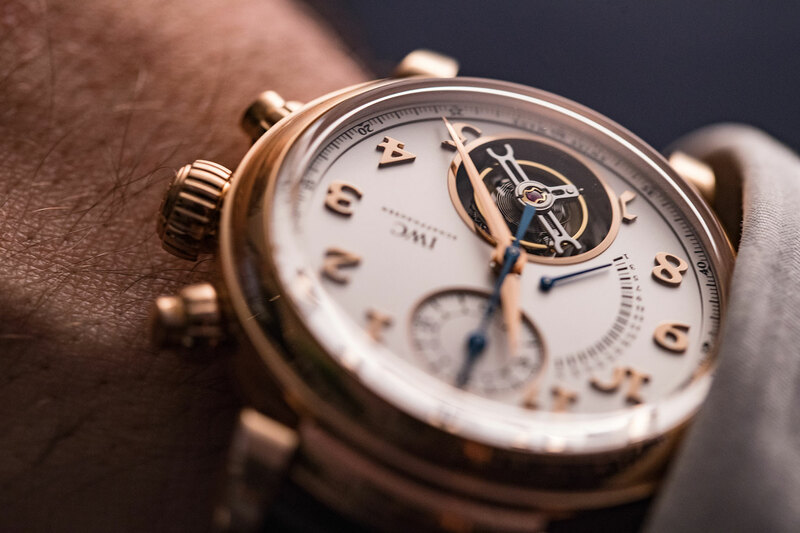 Considering what’s inside the 18k red gold case of the Da Vinci Tourbillon Rétrograde Chronograph, it’s understandably thick at 17mm — and measuring at 44mm across, it’s clearly sized to awe. This is where those delicately curved hinged lugs come in handy. They adjust to the size of your wrist, countering the thickness of the case and allowing the watch to sit comfortably, especially on its dark brown alligator strap, made by renowned Italian shoemaker, Santoni. The round case is the perfect canvas for the Da Vinci’s renaissance. Grand styling, matched with impressive complication. 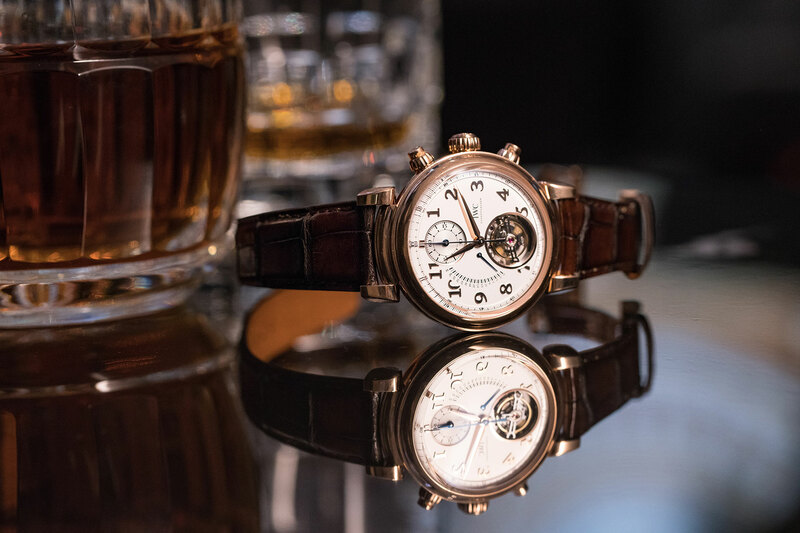 The Da Vinci Tourbillon Rétrograde Chronograph perfectly captures the essence and opulence of the collection.